Interested and eligible candidates who want to apply for this he/she should be a passport size photo and signature should be scanned. upload the photo and signature carefully and photo and signature should be compressed (photo should be minimum 35-40 kb and signature should be 10-15kb) bothe must be minimum then 1 mb. fill all information carefully about you and your qualification because once saved information can't be edited. after that you have to print the bank challan and if you want to choose any other payment system you can do. After 48 hours your fee will be confirmed and you can download the confirmation page. After that you have to post this to pstet office. Then you will be able to download the admit card after 18th. Dec. and you can go for appear in the exam. 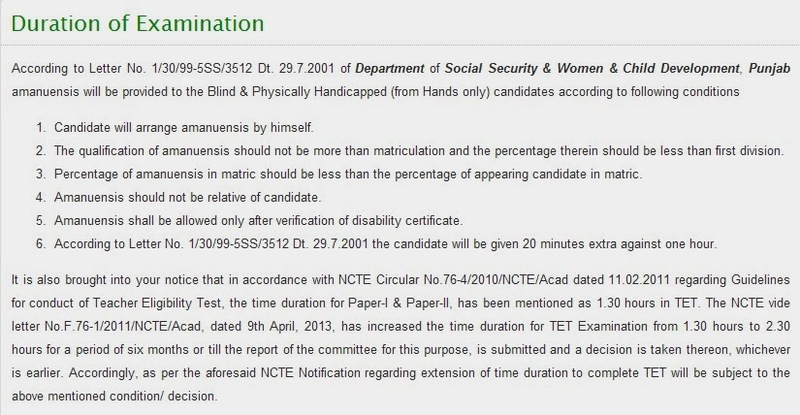 If candidate appearing in final year of two year cource after 12th. (50% makes)in any cource. 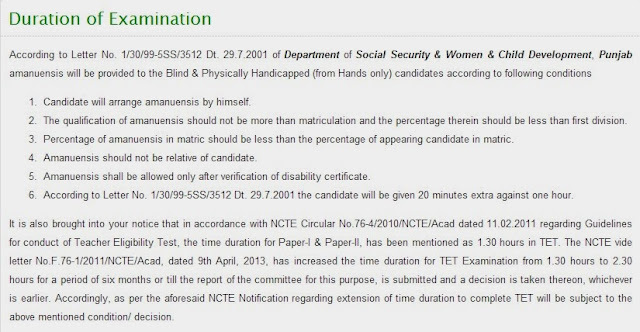 If candidate appearing in final year of Four year cource after 12th. (50% makes)in any cource. No fee is required for ex.serv. Note- Each question will be one mark(s). Note- Each question canatins one mark(s).